I think you should try this plugin to make a beautiful library on every posting. CataBlog allows you to catalog pretty much anything you would want and share it through your blog in a simple but elegant gallery. 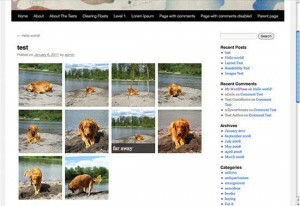 Upload images, give them titles, links, descriptions and then save them into your catalog. You can use categories to organize and filter your catalog items into multiple different catalogs, so you can view your catalog easily. Show off your photos in high resolution with the LightBox effect, perfect for simple galleries. Easy, intuitive and smart design makes it trivial to keep track of all your different catalogs and create amazing e-stores, galleries, lists and more. Automatic pagination with a ShortCode limit parameter. Set separate height and width values for catalog thumbnails. Generate individual and category pages for your entire catalog. Filter by multiple categories with one ShortCode. Localized for Spanish, Swedish and German. 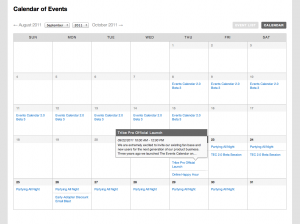 Sort your catalog by order, title, date or randomly. Add multiple images to a catalog item. Control exactly how your catalog HTML code is rendered. Import and Export your catalog in XML and CSV formats. Compatible with WordPress MultiSite and Network Activation. Upload images with FTP and automatically import new files into the catalog. The Options Page is well organized and supports many configurable settings. Easy management of your catalog with superiorly designed admin controls. 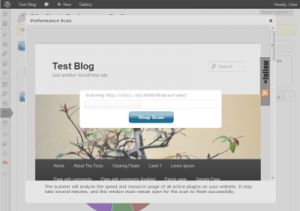 Catablog is a free plugin. download Catablog Here. This plugin work good on Firefox, Chrome, Opera, Safari, or IE9 or later.Â But this plugin will not work on IE8 or lower version. This plugin uses the canvas element for drawing charts and requires Firefox, Chrome, Opera, Safari, or IE9 or later. Try this plugin and then see your visitor later. Happy new year…!, Perhaps, this posting is too late but I think that’s better than never :-), Here I try to share with you. If you are an blogger that using WordPress, you can provide digital GreetingÂ Card on your site, so your site visitor may send Greeting Card to their friend over your site. 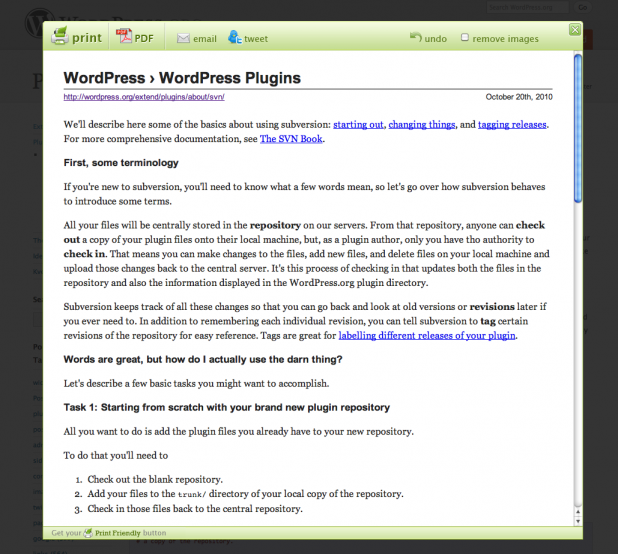 You only need install WP Greet plugin on your site. 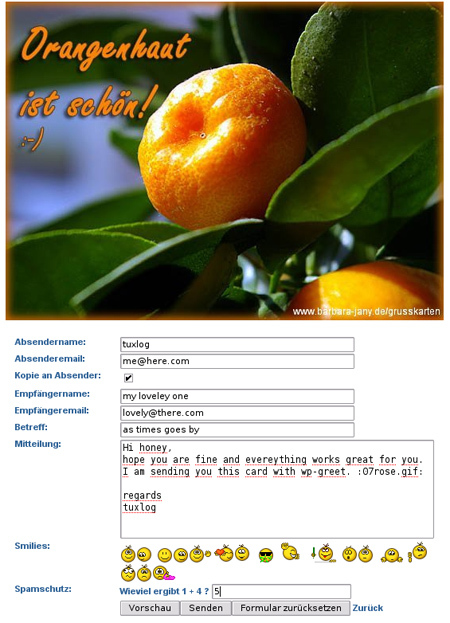 WP – Greet is a wordpress plugin to send greeting cards from your wordpress blog. it uses nextGenGallery to maintain your greetingcard pictures.Â wp-greet is a plugin for the famous wordpress blogging package, giving your users the ability to send greeting cards from your blog. Now you can creates a Top Bar on your wordpress blog easily, because you only need install WP-Top plugin on your wordpress blog. It’s easy to do that. Download here the plugin. The plugin will be shown at the top of your website. That so easy to customize and change the color, text, image, and link.Â Live preview to see your TopBar from the Options page. On the new version (version 2.0) already adds additional CSS options (Display Time) that allows you to make the TopBar disappear and the ability to exclude pages from showing the Topbar.